The Thymus genus belongs to the Lamiaceae family and is highly complex, consisting of over 100 different species known by more than 300 common names. The species of thyme used for the production of essential oil is Thymus vulgaris, and is believed to be an improved, cultivated form of the wild thyme which originated in the mountainous regions of Spain and Europe. The less aromatic Thymus serpyllum which is sometimes called ‘mother of thyme’ and known in France as Serpolet, is a close relation of Thymus vulgaris, but is not the same species. Within the species Thymus vulgaris, there are then several different chemotypes including thymol, linalool, geraniol, thuyanol and a-terpinyl acetate. A chemotype is a natural variation that occurs within a species which produces a variation in the plants chemical constituents. The plant will often physically look the same, but the altitude, soil or climatic conditions will bring about a significant change in the oil that the plant produces. Of the five Thymus vulgaris chemotypes, the thymol type (thyme white) essential oil is by far the most popular. However, in this article we are specifically looking at the much less common, but more versatile linalool chemotype which is usually referred to as ‘sweet’ thyme essential oil. 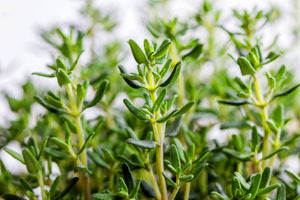 Common thyme was originally native to Spain and the Mediterranean, and has now spread throughout the world being cultivated for the production of essential oil in many countries. At present though, Thymus vulgaris ct. linalool is only cultivated in a few areas of France, usually at a height of 1,200 metres or more. This of course makes it quite rare, and therefore the essential oil is more expensive than the more common white thyme oil. Thymus vulgaris ct. linalool is a hardy perennial herbaceous shrub which grows to a height of 25 cms (10 ins), with small, oval or oblong leaves which are green in spring, turning grey in the dry summer. At the end of spring tiny flowers blossom in pairs or singles under the leaves, with the colour flowers varying from white or pale pink through to purplish. All varieties of thyme dislike an excess of moisture, and prefer to grow in dry, stony soil – very much the same conditions preferred by lavender. It thrives best with lots of room for it to spread its flowered stems and deep roots. The whole plant is highly aromatic, producing a pleasing sweet, herbaceous and slightly balsamic fragrance. From time immemorial, thyme was believed to instil courage and strength and was employed for these virtues by several cultures. Roman soldiers would bathe in thyme before going into battle, and during the Middle Ages in England ladies commonly embroidered an emblem of a bee hovering over a sprig of thyme into the scarves they gave to their knights. The thyme on this emblem symbolised activity, bravery and energy. The ancient Egyptians used common thyme in the process of mummification, the Sumerians employed it as an antiseptic and the Greeks used it in both religious cleansing ceremonies and as a medicine. The great Roman writer Pliny (c23-79 AD) who was an authority on all things scientific in Europe, wrote that ‘when burnt, it puts to flight all venomous creatures’. This particular thyme chemotype is normally harvested in late September when the linalool content is at its peak. 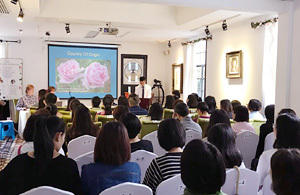 It is not normally collected by mechanical harvesting; the farmers usually prefer to collect the plant by hand using secateurs and it is extremely laborious and time consuming which contributes towards the essential oils somewhat high cost. Sweet thyme essential oil is extracted from the leaves and flowering tops by steam distillation, or sometimes water and steam distillation. 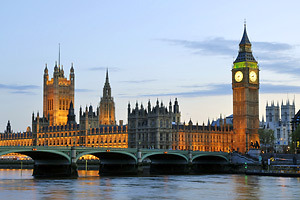 The yield is quite low, at around 0.3 or 0.4% which is another contributing factor to its cost. The essential oil is a pale yellow colour and has a much warmer, sweet and herbaceous aroma than the more popular thymol chemotype. The natural chemistry of thyme linalool essential oil is very different to that of thyme white, since it contains far less thymol, and up to 15 times more linalool. 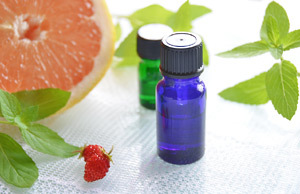 This results in a reduction in the oils famous antiseptic properties, but to compensate it produces a wealth of other unique therapeutic benefits that can be used successfully in aromatherapy. Sweet thyme essential oil is a highly effective neurotonic, which put simply means it gives a boost to the body’s nervous system. It also has a pronounced immunostimulant action which helps to boost the immune system after, for example, a course of powerful antibiotics. It is quite common for antibiotics to weaken the body’s natural defense system as well destroy invading bacteria, leaving you open to yet more infection. These fortifying and strengthening properties make sweet thyme oil extremely useful for stress, nervous exhaustion, burn-out and a compromised immune system. Aromatherapists often use this oil to treat clients suffering from myalgic encephalomyelitis (ME) which is more commonly known as chronic fatigue syndrome (CFS) and multiple sclerosis (MS). It also gives an uplifting boost to the emotions, which can help to revive and fortify low spirits. Used in massage and baths sweet thyme essential oil is also good for arthritis, rheumatism and sciatica, as well as general muscular aches and pains. When vaporised, this oil helps relieve spasmodic and dry coughs, asthma and hay fever. This chemotype is far more gentle in action than white thyme, which makes it the better option for use with children. Sweet thyme essential oil is a middle note and blends with many other essential oils including bergamot, chamomile Roman, geranium, lavender, marjoram sweet, rosemary, and most other citrus oils. It is generally believed the name thyme in its Greek form was first given to the plant by the Greeks as a derivative of the word 'thymos' or 'thurmo', which meant 'to perfume or fumigate'. This is probably because of its popularity as an incense ingredient due to its sweet and balsamic fragrance. However, another opinion states that the name is derived from the Greek word 'thumus' which signifies courage. 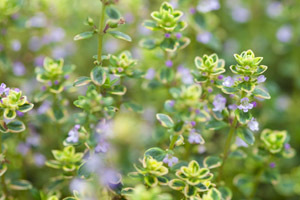 Common thyme was originally native to Spain and the Mediterranean, and has now spread throughout the world and cultivated for the production of essential oil in many countries. However, thyme linalool is currently only cultivated in a few areas of France, usually at a height of 1,200 metres or more. This of course makes it quite rare, and in part explains why this essential oil is more expensive than the thymol chemotypes. The natural chemistry of thyme linalool essential oil is very different to that of thyme white, since it contains far less thymol, and up to 15 times more linalool. This results in a reduction in the famous antiseptic properties of thyme essential oil, but to compensate it produces a wealth of other unique therapeutic benefits that can be used successfully in aromatherapy.